Home - Law Office of Nadine A. Brown, P.A. Founded in April 2002, this firm is dedicated to providing quality legal services for a reasonable price in a professional atmosphere. Honesty and integrity is the firm’s foundation. We believe in doing our best to provide individual care and attention to each case. Your questions will be answered and your issues addressed. Why Choose Me to be Your Attorney? Attorney Brown is a no-nonsense, about the business of resolving your legal issues, professional. She's more than an attorney; she is an advocate here to help you change your life. She will defy expectations, is tenacious and perseveres despite life's obstacles, having heard often the phrase "It has never been done that way before". An immigrant, divorced single parent of two children one of whom has some special needs, she has overcome personal disappointments and challenging circumstances which give her the added insight necessary to perform her professional duties skillfully and with compassion as an Attorney, Parenting Coordinator, or Family Court Mediator. Nadine A. Brown is a graduate of the University of Florida and has been licensed to practice law since 1997. She has over 18 years of experience in the State of Florida and the District of Columbia. She is an experienced, skillful, and compassionate professional. 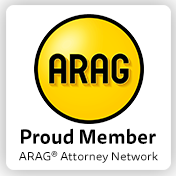 She has participated as a network plan attorney for pre-paid legal programs such as ARAG GROUP, Hyatt Legal Plan - Met Law, US Legal Services, Workplace Options and many Employer Assistance or EAP plans providing services from Simple Will preparation to various Family Law matters and miscellaneous legal matters. I met Nadine A. Brown for the first time in October 2006. My first impression was that she was honest, intelligent and kind. Since then she has proven herself to be those things. She told me the truth which was what I needed to hear. I had been 6 years married to my husband with no Green Card and she helped me get my Green Card in an extraordinary circumstance and in an extraordinary amount of time. I don't think I would have gotten my Green Card without her diligent and tedious hard work. It was clear she knew what she was doing. She also proved that she is dedicated to helping people. She helped me with my divorce that took almost 3 years to complete. She was aggressive and diligent. I had a difficult case with many complicated issues and was fighting for the custody of my children. She helped me keep my children and worked out the details of the divorce. Over the course of the time I have known her, she has proven to be more than an attorney; she is an advocate and friend. I trust her and highly recommend her both for Immigration and Family Law matters. I have known Nadine A. Brown since 2000 when she worked at Catholic Charities. Since my first meeting with her, she showed herself as a very professional and knowledgeable Immigration Attorney. She didn't just only explain to me how the process would be and what it would entail but also prepared me mentally and emotionally for it. She did for me more than just taking care of my case. She gave me plenty of support, encouragement and hope. She is a compassionate professional. She would listen to me and she showed that she cared about me and what I was going through. Since opening her own firm, I hired Nadine for other legal tasks, and like always she has done an outstanding job as my attorney. I highly recommend Nadine as an Immigration Attorney and for any other legal needs. I left Haiti when I was a young girl and came by boat without my parents. I was all alone. I met Attorney Nadine Brown in 1999 when she was working at Catholic Charities Immigration & Refugee Services in Orlando. I was only 16 years old at the time and had been in the United States for only 3 years. She worked on my case and always kept me informed about what was happening. She came with me to my Immigration Interview and even when I was so nervous about what would happen because you hear so many bad stories about Immigration Officers, she calmed me down. I have learned a lot about life growing up on my own. Ms. Brown gave me good advice and encouraged me to keep going forward. She would encourage me to apply for citizenship and when I decided to, even reviewed my application for me. When I got married, she helped my husband process his paperwork too. She went to the Immigration Court with us and explained everything so there were no surprises. We felt more at ease once we knew what to expect and how the process works. We have faced challenges, but we have overcome so many obstacles. We had another attorney before her and he just took our money without giving us his time or an explanation. We feel that Ms. Brown gave us more than she charged us for. Her advice and the quality of the representation truly are priceless. She is a good and genuine person who cares. She is not just our lawyer, she is a friend. I hope she continues in her success helping immigrant people because we need someone like her who cares about what happens to us. I think she is an excellent lawyer and urge anyone needing assistance to seek her out. I met Ms. Brown through Laxmikumari Sibchand. I recommend Ms. Brown to anyone in need of Immigration help. She gives good advice and is a down to earth but professional person. I did not use Ms. Brown to get my Green Card and regret going to a different lawyer. For what I paid him, I did not get the same quality and depth of information Ms. Brown provided. She gave me good advice about completing my citizenship application after I was denied once. With her advice I was able to re-apply and get my citizenship and now I can sponsor my children to come live with me in the United States. I met Attorney Nadine Brown in 1999 when she worked at Catholic Charities Immigration & Refugee Services in Orlando as the managing attorney. No one thought my mother could ever get citizenship because she could not read and write, but Attorney Brown was able to help her with the process. Once she took the oath of allegiance and became a US Citizen, my mother was able to sponsor me for my Green Card. Attorney Brown completed all the Immigration paperwork and clearly explained the process to me. While I was in Tortola, BVI she even called me there personally to ask questions and get the right information. That showed me that she cared about doing a proper job in my case. She takes extra care in her work. I trust her to do everything for me and have referred many family and friends of mine to her. She is honest and will tell you the truth, whether she can help you or not. Some other Immigration Lawyers may tell you what you want to hear and take your money, but not Ms. Brown. I recommend her to anyone who wants to get lawful status the right way and continue to use her when and if I need to. As new residents living in the Greater Orlando, Florida area, and busy professionals it was important for us to locate an efficient and highly qualified Immigration attorney. We were referred to Nadine A. Brown by a friend and discovered that Attorney Brown was the ideal attorney for our Immigration needs. Ms. Brown has proven herself to be extremely knowledgeable and active in her expertise. She provides prompt, precise and most importantly thorough service. On behalf of myself and my family, I highly recommend the legal services of the Law Office of Nadine A. Brown, P.A. My family got to know Nadine Brown in 1999. We got to know her by chance; however, we never regretted it since. She handled our case very professionally, even though she made us aware ahead of time that our case specifically was her first of that kind and that we could’ve chosen a more experienced attorney instead. She handled our case so professionally, that the judge and immigration officer had only one question at the hearing. Our case had a judgment in our favor and the decision was declared right in the courtroom. All of that indicates how precisely, professionally, and competently our case was prepared by Nadine Brown. Besides her professionalism, I want to note Nadine Brown’s attentive and tactful attitude towards her clients. She was calling us about any beneficial programs for us and helped us to participate in them. We were only in the United States for seven months when we asked Nadine for her service. It’s been eight and a half years since we trust all of our immigration needs and services to her! In three years, when we apply for US citizenship, we will only do it through Nadine Brown’s services. Her services are professional, tactful, and competent and her fees are affordable.